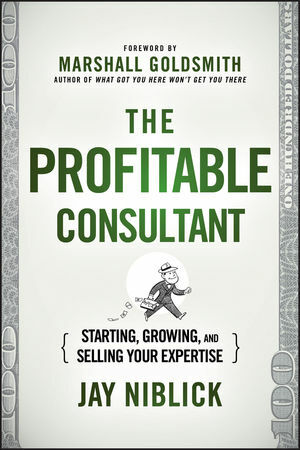 Selling can be uncomfortable for professional business consultants and executive coaches. The two biggest problems are generating more qualified leads, and turning those leads into actual paying clients. Taking traditional beliefs about how best to "sell" and turning them completely upside down, author Jay Niblick rewrites the sales playbook for the consulting and coaching industry. His proven five-step sales process is specifically designed for independent business consultants and coaches, serving as a common set of rules to grow their practice, deliver more value and generate more revenue. The Profitable Consultant delivers a suite of ready-to-launch tools that will automate readers’ marketing efforts, so they can focus more time delivering revenue-generating services -- to even more clients.